If you look closely at the intro videos Apple plays whenever it launches a new product, you’ll notice a few constants. 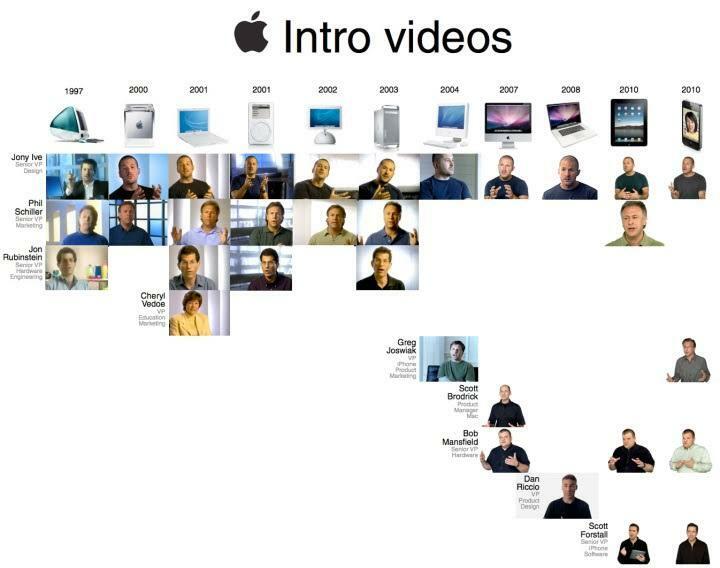 One: Apple’s design guru, Jonathan Ive, is in every single video. Two: Ive hasn’t changed his shirt since 1997 when the original iMac launched. Also, Cheryl Vedoe marks the only intro reel appearance by a female employed at Apple. And that was just once, in 2001. Scott Forstall is the only other one currently on the repeat wearer list. He’s worn the same jacket in the iPhone and iPad launch videos.